Eat’n Park Team Smiley Marketing Internships Available! Love to share smiles across the miles AND have an obsession with everyone’s favorite Smiley Cookie? Then we’ve got a sweet opportunity for you! 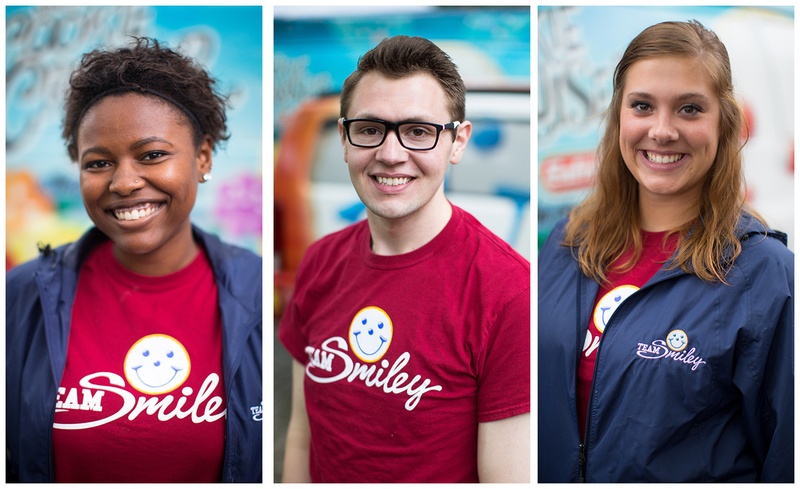 We’re hiring a team of Eat’n Park brand fans to join our 2017 Team Smiley summer internship program! Every year, Team Smiley spreads goodwill, good times, and great tasting Smiley Cookies all over the tri-state area. In addition to growing relationships in the community, the team works alongside Eat’n Park’s marketing department, gaining practical insight and contributing to company initiatives. It will be a smiley summer that you won’t soon forget! Click here to learn more and apply for this paid position! A few of our Team Smiley alumni (from left to right): Marissa (University of Pittsburgh), Colby (Duquesne University), and Brooke (University of Pittsburgh). Want to hear a first hand account of what you can expect from this internship program? Check out Team Smiley’s blog posts or follow them on Instagram (@TeamSmiley), to learn about their adventures from last summer!